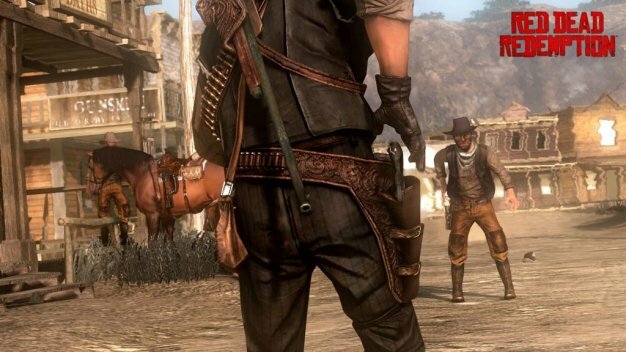 Talk about an itchy trigger finger; The Red Dead Redemption “My Name is John Marston” trailer that Rockstar announced it will release next week has made it out of the gate a bit sooner than anticipated and was posted on a Belgian site for a brief time. The video’s been pulled since but apparently a precise date was revealed at the end of it like we figured — April 27, 2010. Whether that’s the North American, European or worldwide date is unknown but, late April appears to be it. Rockstar will officially release the new trailer next Tuesday, December 1st.